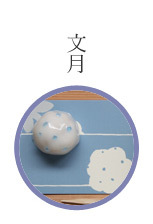 This is the season old man winter has been coming. 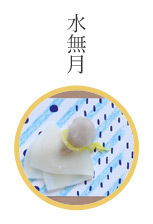 By the way, I feel this is great; winter is cold and summer is hot. 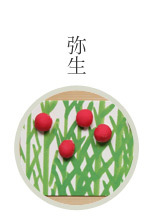 And we can rejoice in entering into spring. 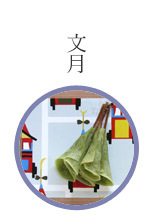 How much these differences in seasons enrich my days of life, indeed! 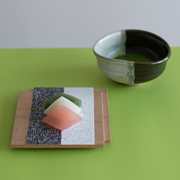 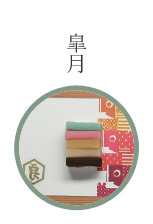 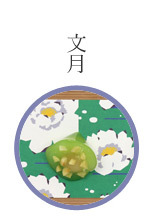 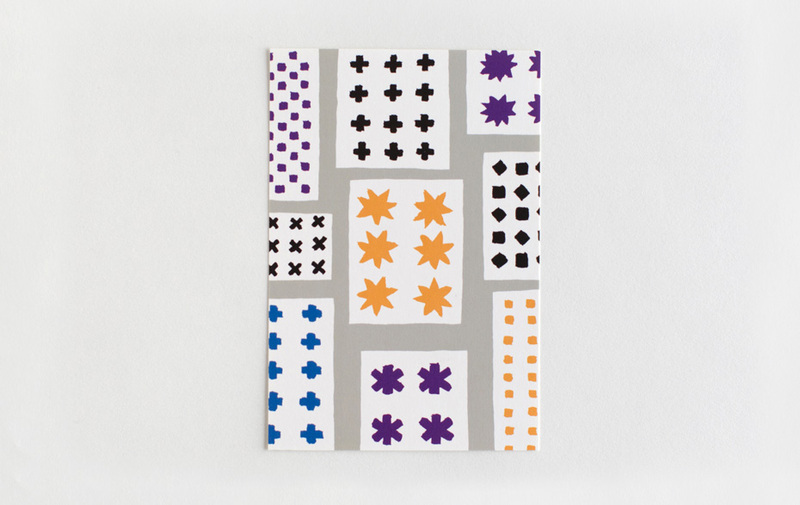 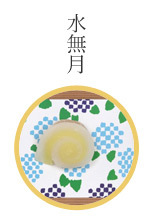 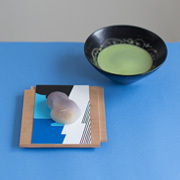 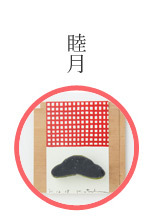 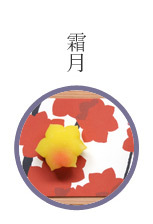 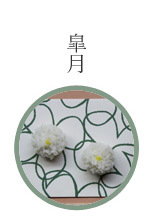 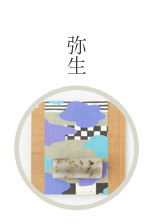 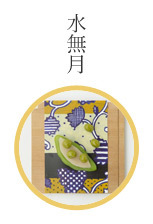 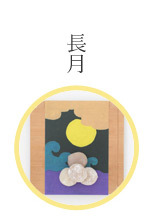 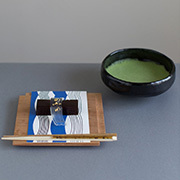 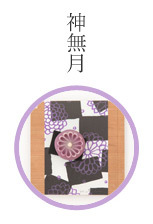 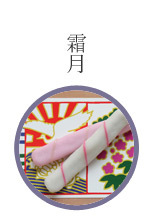 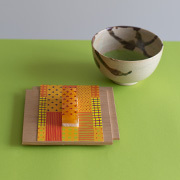 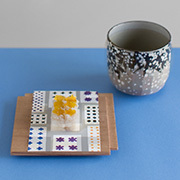 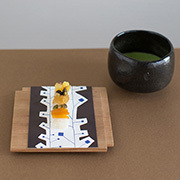 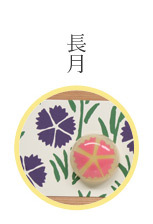 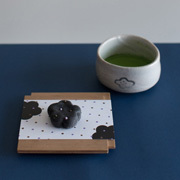 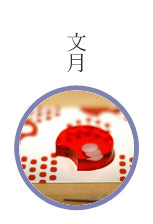 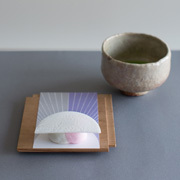 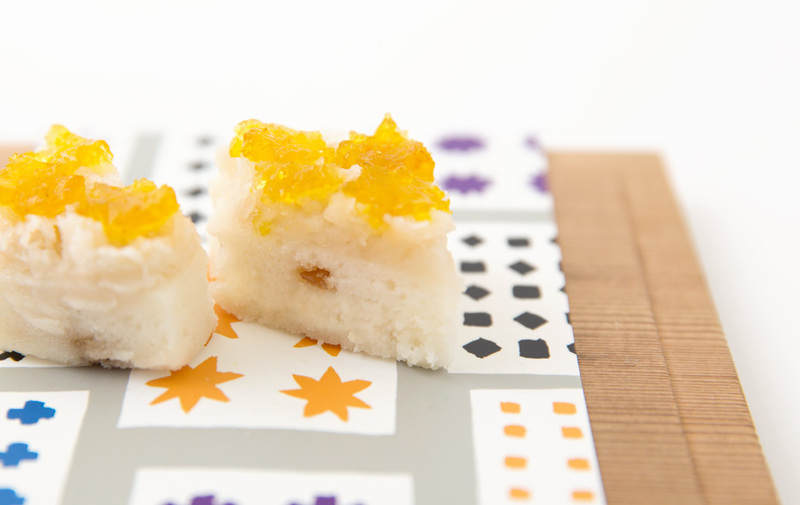 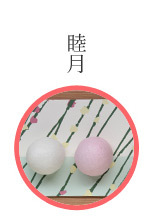 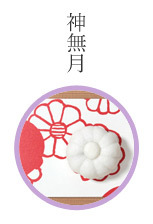 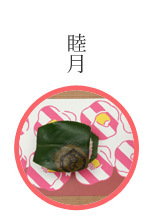 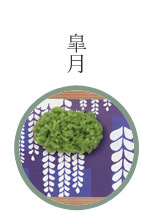 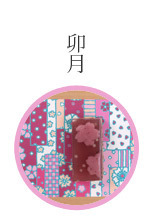 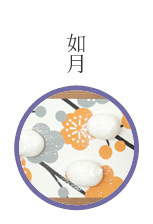 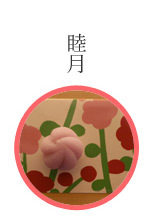 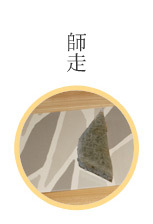 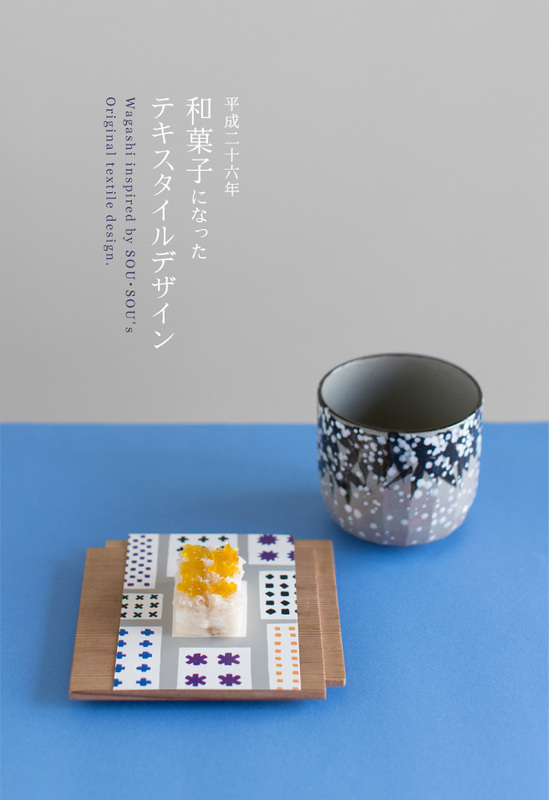 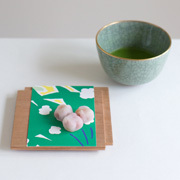 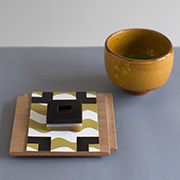 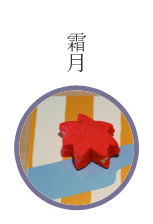 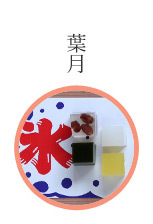 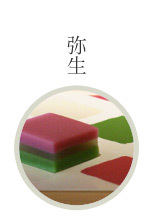 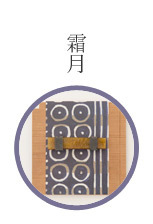 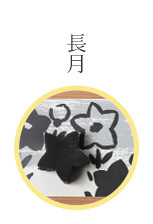 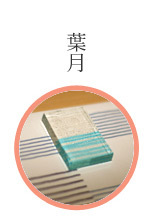 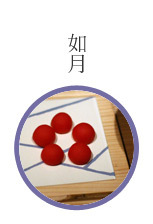 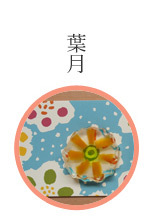 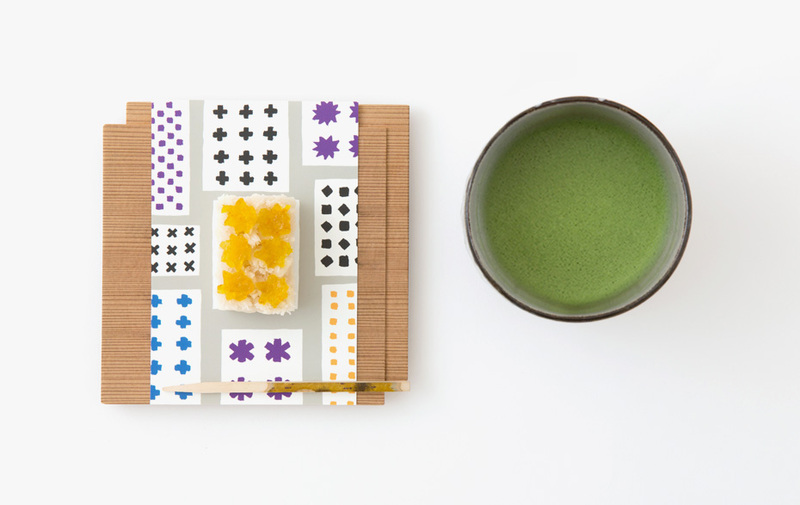 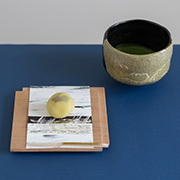 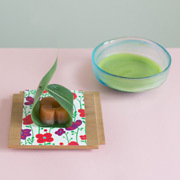 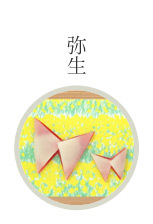 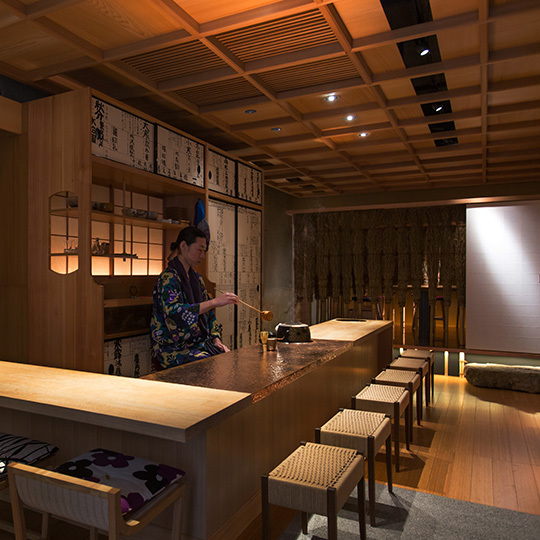 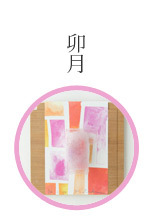 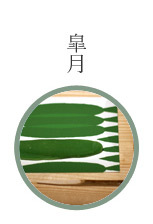 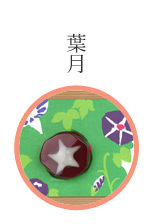 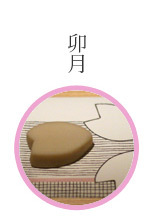 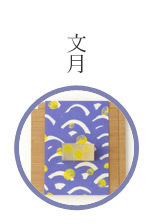 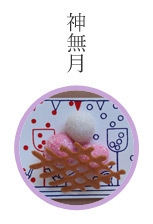 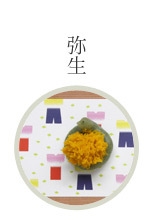 December's wagashi is recreated just the way the part of the textile. 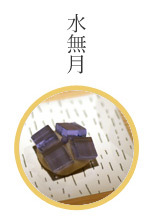 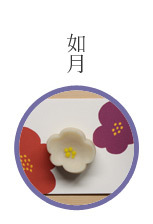 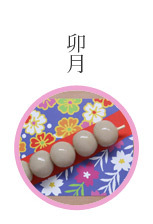 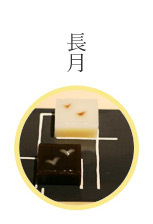 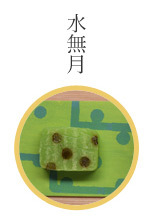 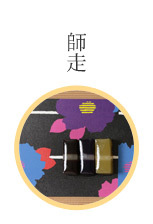 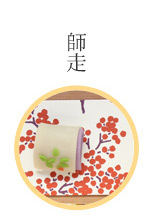 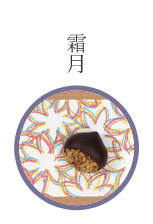 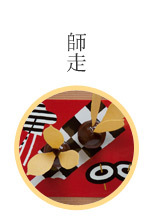 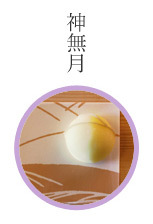 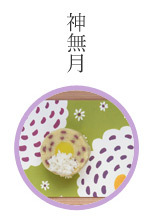 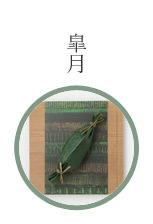 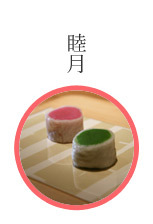 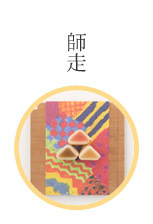 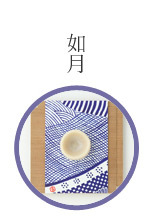 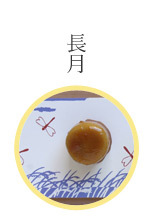 The bottom is made of karukan, white and soft steamed confection, with white miso and caramel flavored walnuts. 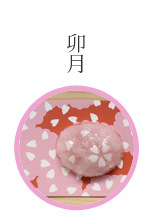 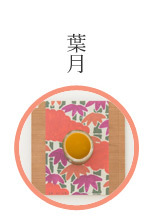 Imo-nerikiri is in the middle layer which is pureed Japanese yam mixed with white sweetened bean paste, and crystal shaped kingyokukan, made of agar-agar with a citrus fruit, yuzu, are topped on it. 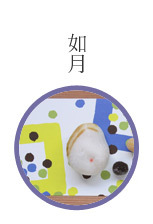 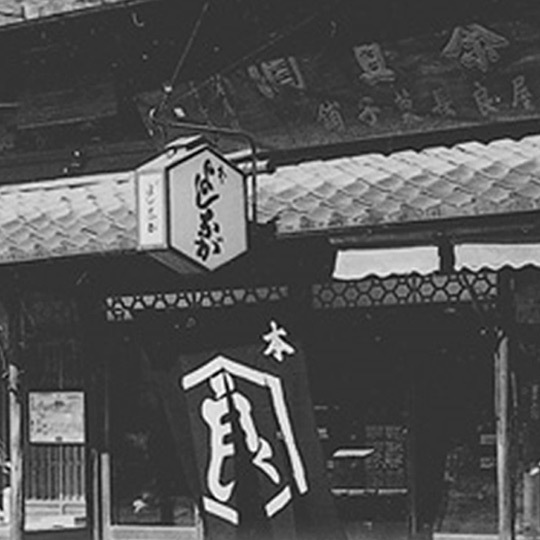 Imo-nerikiri expresses softly piled up fresh snow, and yuzu, must-have at the winter solstice, is added to kingyokukan to give it the season.